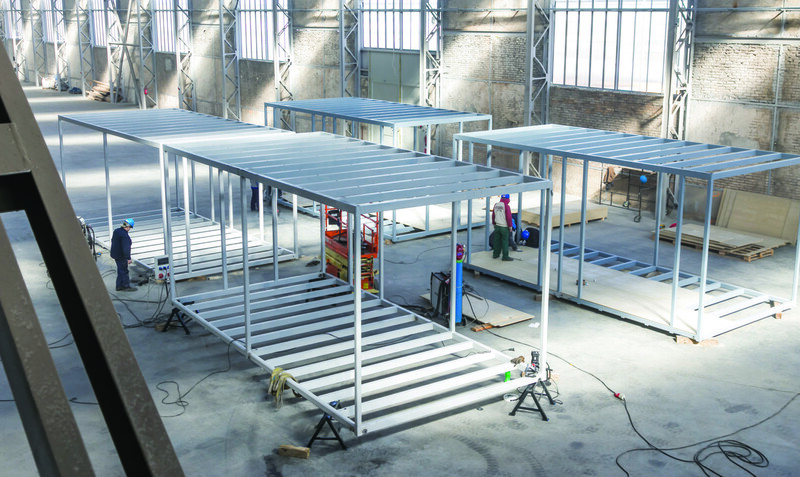 The load bearing structure of modules consists of a framework of welded steel profiles, cold-rolled or hot-rolled of steel in structural steel grades (e.g. S235JR, S355JR or appropriate as per PN EN 10025:1993) with cross-sections resulting from the statistical calculations performed each time. The steel structure is corrosion- and fire-proof. 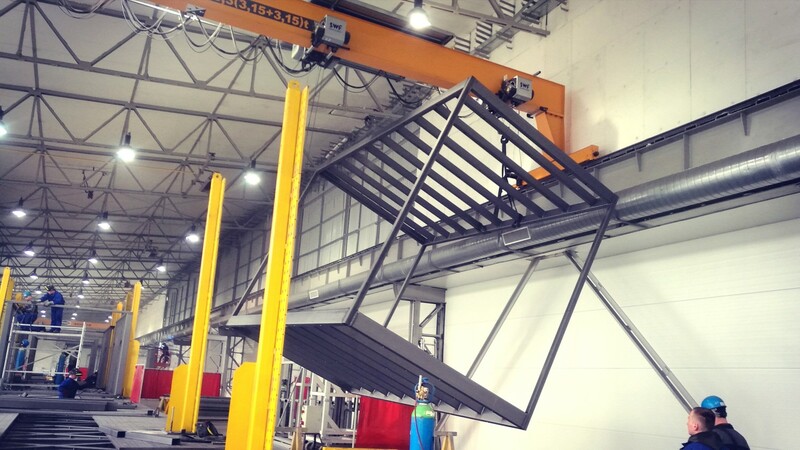 There is possibility of constructing bigger modules in our factory although such productions is under concern of project and economic factors. 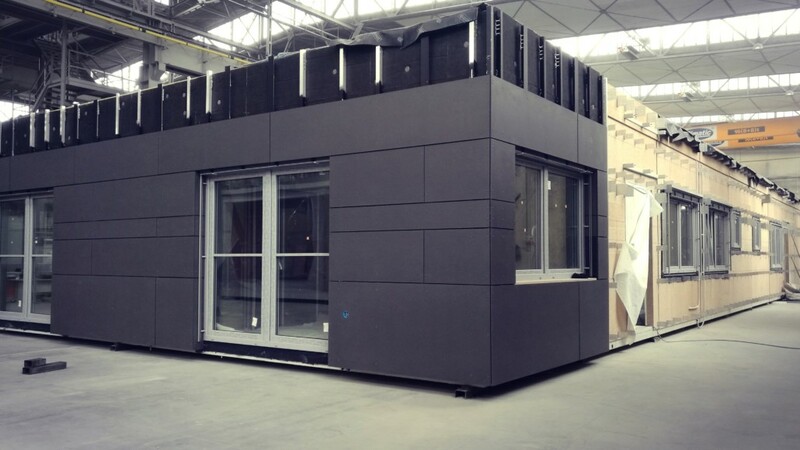 The external walls of Climatic modular buildings are ready for all types of facade systems available on the market. Ventilated facades are installed in a way that eliminates thermal bridges occurring on fasteners. A standard modular building is equipped with a thermal-insulated flat roof with a parapet wall. Its structure can be reinforced at the design stage, making it possible to create green roof layers. Partition walls are installed using framed partition systems compliant with the highest standards of fire-proofing, moisture resistance and impact resistance, and allows easy rearrangement during building operation. Write us – we will call back!